FCBD Previews are starting to come out and Marvel has now revealed their big book, .......Avengers! 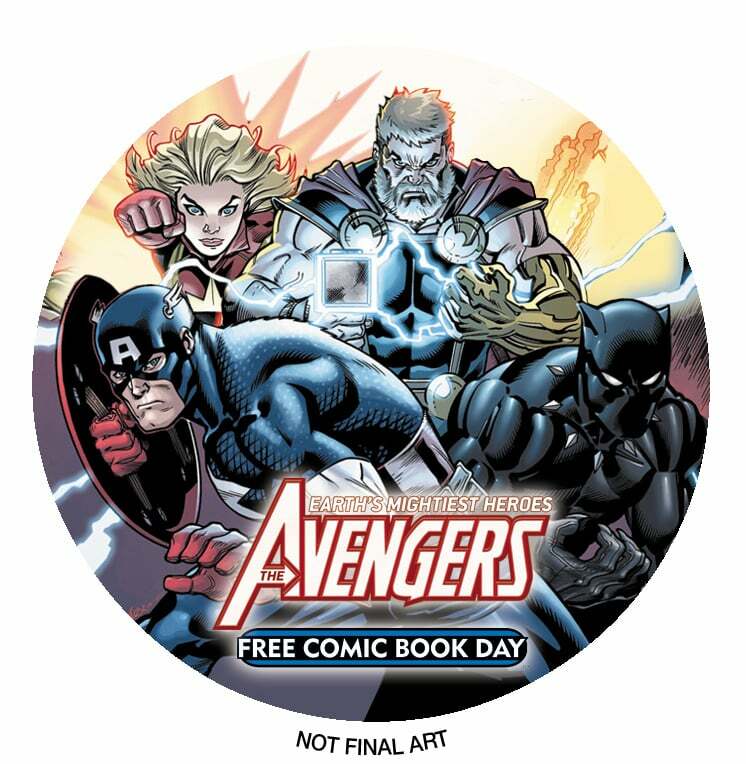 Not too much of a surprise as Marvel has used Free Comic Book Day to launch a new Avengers series over the past few years. This years team features Captain America, Thor, She Hulk, Black Panther, Blade, Ghost Rider, Captain Marvel, and Iron Man. Its a high powered crew featuring some of the strongest heroes in the Marvel univese. I am personally excited to see Blade in the mix on an Avengers team his inclusion is different and fun. Its also good to see the Big 3 of Cap, Iron Man and Thor on a team together and not fighitng each other. 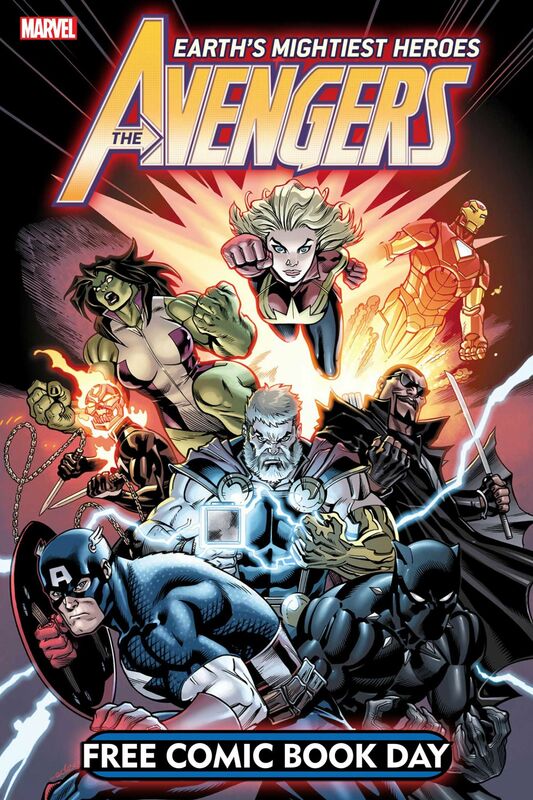 With Avengers End Game coming out soon I expect Marvel to make this book is awesome. They certainly have enlisted their top notch talent for it. The new Avengers series is going to be written by Jason Aaron and Gerry Duggan. Art is to be by Stefano Caselli and Mike Deodato. Marvel did not release any art previews however they did reveal tha tthe comics will be out with a button. You can check out Avengers #1 on May 4th, 2019 along with many other awesome free comics.